Mary Francine Deputy-Carter, “Aunt Fran” as she was affectionately known by most, daughter of the late John W. Deputy and Grace Fountain-Deputy was born July 20, 1951 in Harrington, Delaware. 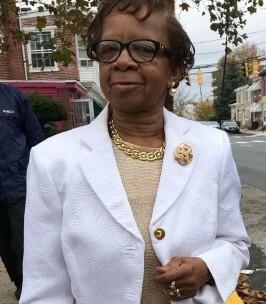 She attended Wilmington Public Schools and graduated from Howard High School in 1973. Her class reunions did not get started until she arrived. She loved softball and played on a number of teams in Wilmington. Upon graduating, she began her career at Wilmington Hospital, then on to Delaware Division and finally retiring after thirty-six combined years of service mostly at Christiana Care. Aunt Fran had a love for people; she would give you the shoes off her feet if you needed them. She had plenty of them. Her collection would rival that of Imelda Marcos. Auntie made it her business to get to know everyone by name. She was an organizer and was famous for her bi-annual Michael Kors shopping excursions to N.Y. City. Every Saturday before Thanksgiving weekend, she would round up the troops and get on the bus (before Spike Lee made that saying famous). Somebody be sure Spike sends her some royalties. Her hobbies included: baseball, shopping and of course ‘dressing to the nines’. Her “home away from home” favorite shopping places included Macy’s and anywhere Michael Kors was sold. She was believed to have keys to the store as she was there so much. “Shop ‘til you drop”; yes, that was Aunt Fran. She was introduced to elephant collectibles by the late Hick Anderson. A special thank you to all who contributed to that collection. The only thing that could pull her away was a slick haired, smooth operator named Larry J. Carter. They were inseparable. Wherever you saw one, there was that other one. In June of 1980 it was made official and they were married. They traveled everywhere together. Her passions, besides shopping, her husband and her family, included her Boyz. No, not B-O-Y-S, but Boyz. You guessed it...Those Dallas Cowboys! She committed an entire room to them and was known to get autographs and make trips to Dallas to cheer them on win or lose. Francine will be deeply missed by her Harrison Memorial family, where she was a faithful trustee for many years, her co-workers, neighbors, friends, and a large immediate and extended family. She was preceded in transition by her late husband, Larry J. Carter. 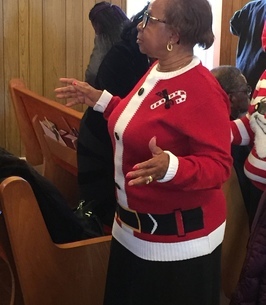 She is survived by Gretchen Collins, Charlene Dorsey (Paris), Emory Goodman, Darneise Goodman, Stewart Goodman (Starla), in-laws, Mildred Deputy, Rev. William L. Carter (Darlene), stepson Larry Ponzo, a host of nieces, nephews, godchildren and cousins. To send flowers to the family of Mary Francine Carter, please visit our Heartfelt Sympathies Store. My deepest condolences to the family of Fran, I had the greatest pleasure of meeting Fran many ions ago working in the hospital and she took me under her wing and taught me what I needed to know and we truly enjoyed our talks of shopping-once she found it was my addiction as well. Lord, she was the sweetest and stayed looking sharp at all times. Rest my dear friend and see you at the Macy's in heaven. To Stewart, Emory and the family, Oh, how blessed the years we had Fran, always ready with a good joke, a good piece of gossip or news on the latest Macy's sales. She was a steady rock, our Fran, never letting us forget where we came for or where we were headed. She told me once that I would be somebody someday because I had so much mouth and could talk my way into anything. Years later she always told me how proud she was of me. My deepest sympathy to the family in your time of grief. Fran will always live on in all our hearts. Are hearts go out to the Carter family in this time of loss. We loved seeing Frann. She would always stop in to say hi when her and Larry would go to Ihop (and before she headed to Macy's lol) We will miss her greatly! My prayers are with each and every one of you during the passing of your love one. No one knows but you the pain you have but you family first as always she's with her best best friend now RIP Fran. THE YOUNG FAMILY ! My condolences to the Carter and Goodman Family. I met Francine in 1980’s through her husband. And she was a fun loving person always laughing and cutting up. Always bringing her husband a cooked meal at the bar where he worked. Last saw her and Larry together at Farmer Market and they said I was just talking about you where you been. That was before his death and now she home at last with him. Free and in his loving arms. Gone miss you girlfriend. Tell Larry hi for me. Gone to soon but no more pain. Rest on in Heaven. My condolences to Frann's family. Not only have I known her personally as children, but as a previous fellow church member and also as a previous coworker. Frann was a fun loving person, knew how to make people laugh, and was very caring to her patients. She loved people, and people loved her. She will be sorely missed, but at least she is together again with her soulmate, and husband, Larry. RIP Frann. My heartfelt condolence to the Family. I am so sorry for your loss. There are few experiences more difficult than losing a loved one in death. As you cherish the many memories of your dear loved one, Miss Mary, please reflect on the time when sickness, death and mourning will be no more. (Revelations 21:3,4) This is what our loving God Jehovah has promised and Jesus himself guaranteed the hope of seeing our loved ones again by means of the resurrection. (John 5:28,29; Acts 24:15; Isaiah 26:19) May God’s word bring you comfort during this difficult time and in the days ahead as we await the fulfillment of his promises.